The Australian Competition and Consumer Commission’s (ACCC) quarterly speed test report has found that 13.2 per cent of assessments uncovered underperforming services. These were classified as connections that rarely reach a minimum of 75 per cent of the top speed offered on the plan. Underperforming services were mostly on fibre to the node (FTTN) connections, and significantly impacted the overall download speed results. “We encourage customers who aren’t getting the maximum speeds to contact their internet service provider to ask whether the problem can be fixed or about moving onto a cheaper plan,” ACCC chair Rod Sims said. 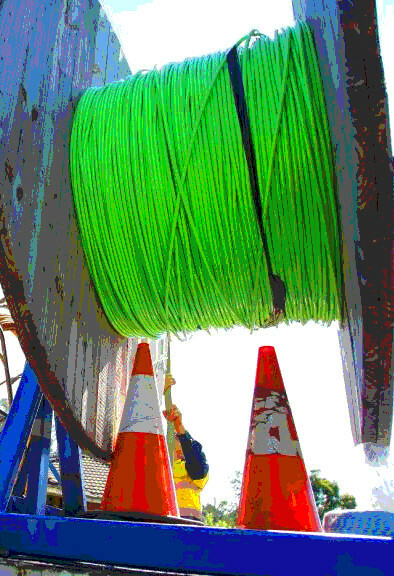 The ACCC’s report includes, for the first time, a breakdown of speed results by NBN technology, reporting the performance of fibre to the premise (FTTP), FTTN and hybrid fibre coaxial (HFC) networks. The results show FTTP and HFC services deliver about 86 per cent to 87 per cent of maximum plan speeds at busy hours, compared to about 79 per cent for FTTN. However, when underperforming services are removed, the results are comparable for all technologies, at almost 88 per cent. This demonstrates that with further work, many more FTTN customers could expect to see similar speeds on their current plans as customers on other NBN technologies. “We expect NBN Co and RSPs’ [Retail Service Providers] focus to remain on fixing speed-related problems and ensuring consumers receive good speeds on their current plans, regardless of which NBN fixed-line technology is supplied to them,” Mr Sims said.